A new version of DeLaval’s voluntary milking system (VMS) was unveiled by the company inform of an audience of producers and industry representatives. 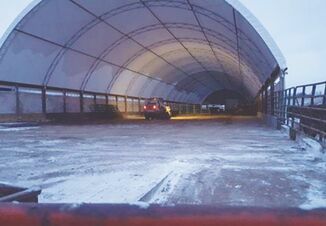 The VMS V300 was debuted at the VMS PRO North America, in Madison, Wisc., and has the goal of helping farmers with future labor problems while keeping animal welfare and food safety a priority. "You can have a normal family life, and you can have normal working hours. Your employees can have normal working hours as well. It will be easy to be a farmer in the future,” says Søren Højgaard Andersen, DeLaval VMS V300 farm owner from Denmark. New user interface improvements for the VMS V300 system comes with DeLaval InControl which allows users to access information and control of the system remotely. A transparent teat preparation cup called DeLaval PureFlow and a vision technology called DeLaval InSight are few of the other updates to the robotic milker. 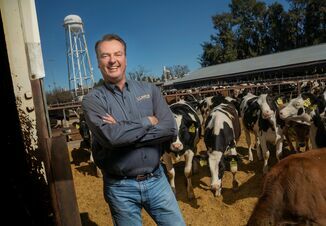 DelPro Companion is a new mobile app that puts full herd management capabilities at the fingertips of both robotic and conventional milking system farmers. The app provides cow lists, record data, remotely access their herd’s activities and more. DelPro Companion will be available in fall of 2018 for both Apple and Android devices for use with systems running DelPro 5.3 and later versions. DeLaval InService All-Inclusive is a customer program that was revamped to meet the needs of robotic milking by providing service, consumables, advice and a number of other services for producers. OptiDuo is a feed pusher that is available in other areas of the world and will be offered in the North American market in 2019. 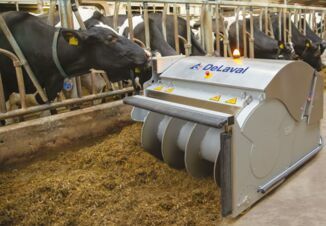 More information on the new DeLaval VMS V300 and other developments by the company can be found at www.delaval.com.